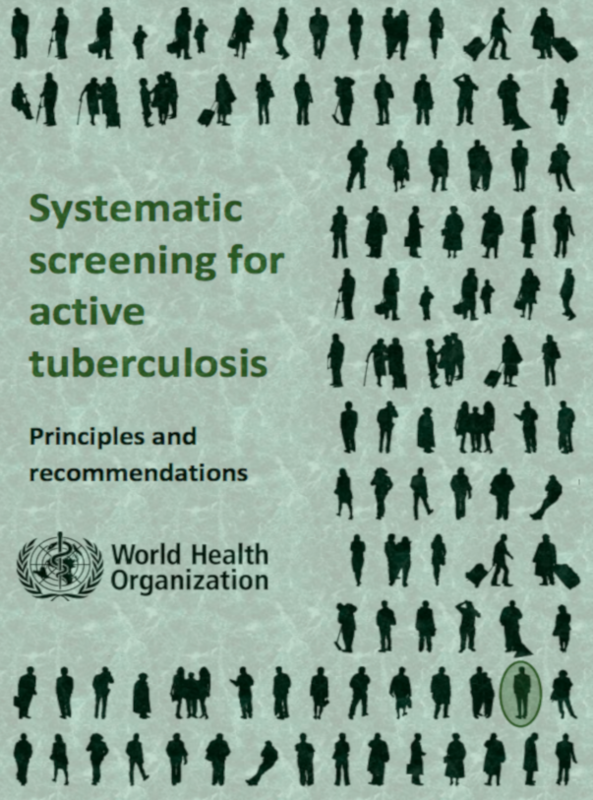 Systematic screening for active TB in high risk populations and prompt access to appropriate treatment are crucial to END TB. Digital chest radiography, when used as a rapid triage to select individuals for bacteriological testing, facilitates screening of large groups at low costs. Enhanced efforts with targeted screening strategies are much needed for vulnerable communities and to accelerate the national TB control efforts towards TB control and elimination. Symptom questionnaires and chest radiography are the most available and best documented methods to screen for active TB disease . While the use of Xpert® in programmatic settings has expanded in recent years, the WHO has also recommended use of more cost effective diagnostic algorithms through screening tools such as CXR . Digital radiology overcomes the barriers of using traditional film based chest X-rays with human readers for (cost)effective digital screening in low resource-high burden settings. Computer Aided Detection for TB now surpasses the performance of a trained human reader and can be used for passive and active TB case finding as well as in prevalence surveys . Combining CAD and clinical information to estimate the risk of active disease is a promising tool for TB screening . The available evidence suggests that screening, if done in the right way and targeting the right people, may reduce suffering and death. Knut Lönnroth, WHO - PSI/GTB UNION Liverpool, October 2016. A Paradigm Shift is needed in the way we fight TB. Unless we speak about Active Case Finding, X-ray, contacts, prevention (amongst others) we will not reach our targets. Philipsen, R. H. H. M. et al. Automated chest-radiography as a triage for Xpert® testing in resource-constrained settings: a prospective study of diagnostic accuracy and costs. Scientific Rep.5, 12215 (2015).